Possily the earliest form of pauper accommodation in the Chippenham area was at Kington St Michael where a house for paupers was built in 1221 adjacent to a 12th century nunnery. The site, which contains a complex mixture of buildings, survives as Priory Manor. ...a salary not exceeding £40 be a allowed to a Master and Mistress of the Workhouse now erected within the said parish for the reception and maintenance of the poor there, the same to be paid by the Overseers for the time being. That notice of such allowance to be given next Sunday at the Church during Divine Service and a time to be fixed to choose such Master and Mistress. The workhouse stood in Mac's yard in the Butts in Chippenham. Lacock had a number of parish workhouses. 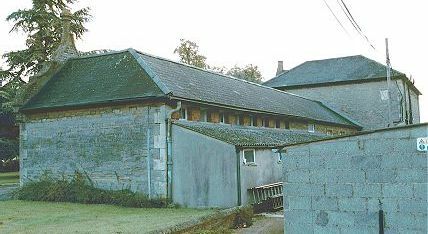 A building called the Church House at the west side of the churchyard was used by the parish from as early as 1598 for occasional accommodation of paupers. In 1758, the Church House was converted into what was in effect a workhouse for children. A Vestry meeting in July 1758 agreed to employ John and Mary Escott to "attend and instruct" poor children placed in the house in spinning and carding. The Escotts were paid a shilling a week for each child for which they also had to provide food and washing and the mending of clothes. 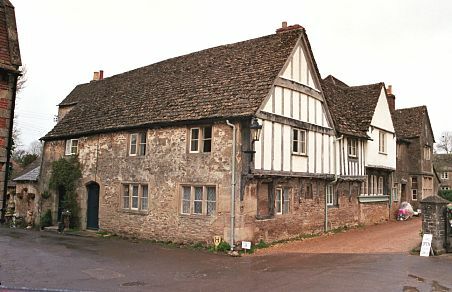 In 1766, because of growing numbers, the houses at 14 to 16 Church Street in Lacock were converted to a workhouse for the reception of "Children who are too great a burthen to their parents, orphans and others by which means they may be brought up to labour and instructed in their Duty and be comfortably subsisted". The parish Overseers were instructed to fit up the houses "in a clean and decent manner for the immediate reception of Twenty poor persons, and provide proper household utensils Bedsteads and Beding for the said poor, and Turns and other Tools for setting them work... and the Overseers to receive and account for the profits of their labour." The workhouse rules show that the hours of work were from 6am to 7pm in summer, and 7am to 6pm in winter, with half an hour for breakfast at 9am and an hour for dinner at 1pm. Bedtime was at 9pm in summer, 8pm in winter. Inmates wore a pauper's badge on their shoulder bearing the letters LP in red cloth on a blue ground. Rooms in the workhouse were swept three times as week, clothes were changed weekly and bed-linen monthly. No tea or spirits were to be used in the house and smoking was forbidden except in the workrooms. From 1787-8, part of the workhouse was used as a bakery and made a small profit by selling bread to the public. Lacock 1766 workhouse from the south-west, 2004. In 1833, a new and larger workhouse was erected at 1-3 Church Street, Lacock. The T-shaped building was erected by local builders John Gale and George Banks at a contract price of £466.5s. Lacock 1833 workhouse from the south, 2004. A parish workhouse operated in Box in a building dating from 1729, established by the parishes of Box and Ditteridge. It was set up following a grant of £200 by Henry Hoare of Stourhead for a building for "the reception and maintenance of our poor" and which would also have a room for a charity school. However, further funds amouting to over £500 needed to be raised to complete the building. In a parliamentary report of 1777 the workhouse could accommodate up to 24 inmates. No plan of the building survives but an early inventory mentions kitchen and larder, brewhouse, cellar, woolhouse, master's lodging, various garrets, and the working room which contained spinning "turns" (wheels), a snap reel, two looms and two scribbling horses (for combing). The school room which was located at the top of the workhouse continued in use until 1877. Parish workhouses in the area also operated at Christian Malford which, in 1777, was recorded as accommodating up to 30 inmates, and at Corsham on the site of what is now 70 High Street. County of Wiltshire: Avon, Biddestone St Nicholas, Biddestone St Peter, Box (2), Castle Combe, Chippenham (5), Christian Malford, Colerne, Corsham (3), Ditteridge, Draycot Cerne, Grittleton, Hardenhuish, Kington Langley, Kington St Michael, Lacock (2), Langley Burrell, Leigh Delamere, Littleton Drew, Nettleton, North Wraxhall [Wraxall], Pewsham, Seagry, Slaughterford, Stanton St Quintin, Sutton Benger, Tytherton Kelways [Kellaways], West Kington, Yatton Keynell. The population falling within the Union at the 1831 census had been 19,265 with parishes ranging in size from Tytherton Kelways (population 20) to Chippenham itself (4,333). The average annual poor-rate expenditure for the period 1833-5 had been £12,489 or 13s.0d. per head of the population. The Chippenham Union initially continued using the former parish workhouses in the Butts at Chippenham and at Lacock. Census records indicate that the Lacock workhouse was particularly used for accommodating children. 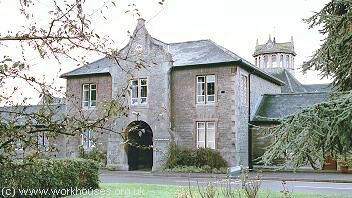 A new purpose-built workhouse was erected in 1858-9 on a site at Rowden Hill to the south of Chippenham. Its location and layout are shown on the 1922 map below. The building was designed by Christopher C Creeke who was also the architect of workhouses at Tisbury, Blandford and Christchurch. His design for Chippenham was in Dutch Renaissance style, constructed in limestone ashlar with Welsh slate roofs. The workhouse had an entrance block facing onto the road at the north. It had a two storey central gatehouse and archway, flanked by single storey wings. Chippenham general view from the north-east, 2004. Chippenham entrance from the north, 2000. Chippenham main block entrance from the south-west, 2004. Part of the entrance block was used for vagrants' accommodation with a characteristic row of cell windows at the rear. Chippenham entrance block from the south-west, 2004. A two storey main block had a central hall, surmounted by an octagonal cupola. This may have been used as the workhouse dining hall and chapel. Chippenham main block from south-east, 2004. Service buildings and what was probably the original infirmary, lay at the south of the site. From 1930 to 1948, the site was known as Chippenham Institution. After the introduction of the National Health Service in 1948, it became St Andrew's Hospital. 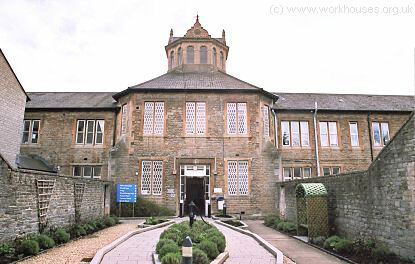 Many of the original buildings still survive in what is now Chippenham Community Hospital. 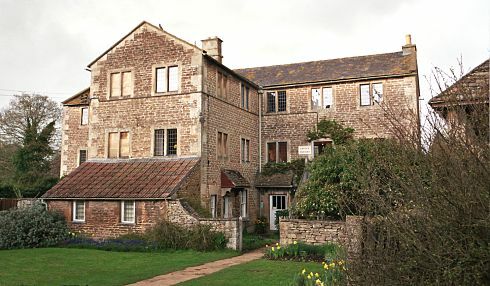 The village of Lacock is now managed by the National Trust. The Chippenham Union established a children's cottage home at Velley Hill, Gastard, near Corsham. In 1924, the home could accommodate 12 children, with E. Swain as its Superintendent. Wiltshire and Swindon Archives, Wiltshire and Swindon History Centre, Cocklebury Road, Chippenham SN15 3QN. Very few records survive — holdings include: Guardians' minutes (1835-8, 1845-1930); Admissions and discharges (1881-1932); Births (1866-1914); Deaths (1881-1932); etc. Box, Wiltshire - An Intimate History by Clare Higgens (1985, Dowland Pres, Frome). Notes on the Administration of the Relief of the Poor of Lacock, 1583 to 1834 by FH Hinton (in Wiltshire Archaeological and Natural History Magazine, 1940, XLIX, pp.166-218. Records of the Union Workhouse by J Philpot (in Wiltshire FHS , 14, 1984). A History of Chippenham - AD 853-1946 by Arnold Platts (1947).